In Western New York, we are no strangers to snowstorms or blizzards. We may cringe at the thought of having to dust and scrape snow and ice from our vehicles, or shovel our driveway and walkways. But kids want to go PLAY! Low temperatures can make conditions dangerous for kids, so here are some tips to keep them safe this winter. 1. Layer up! Bitter cold and snow can cause frostbite. Dress your child in several layers, and make sure their head, neck and hands are covered. Dress babies and young children in one more layer than an adult would wear. 2. Play it safe. Even when roads are closed to traffic, it’s not safe to play or sled in the street. Visibility may be limited due to snow banks and ice on the roads makes braking difficult. 3. Beware of clothing hazards. Scarves and hood strings can strangle smaller children so use other clothing to keep them warm. 4. Check in on warmth. Before kids head outside, tell them to come inside if they get wet or if they’re cold. Then keep watching them and checking in. They may want to continue playing outside even if they are wet or cold. 5. Use sunscreen. Children and adults can still get sunburned in the winter. Sun can reflect off the snow, so apply sunscreen to exposed areas. 6. Use caution around fires. Wood-burning stoves, fireplaces, and outdoor fire-pits are cozy but can present danger – especially to small children. Use caution and put up protective gates when possible. If you’ve lost power or heat and are alternative heating methods like kerosene or electric heaters, be sure smoke detectors and carbon monoxide detectors are working. 7. Get trained and equipped. 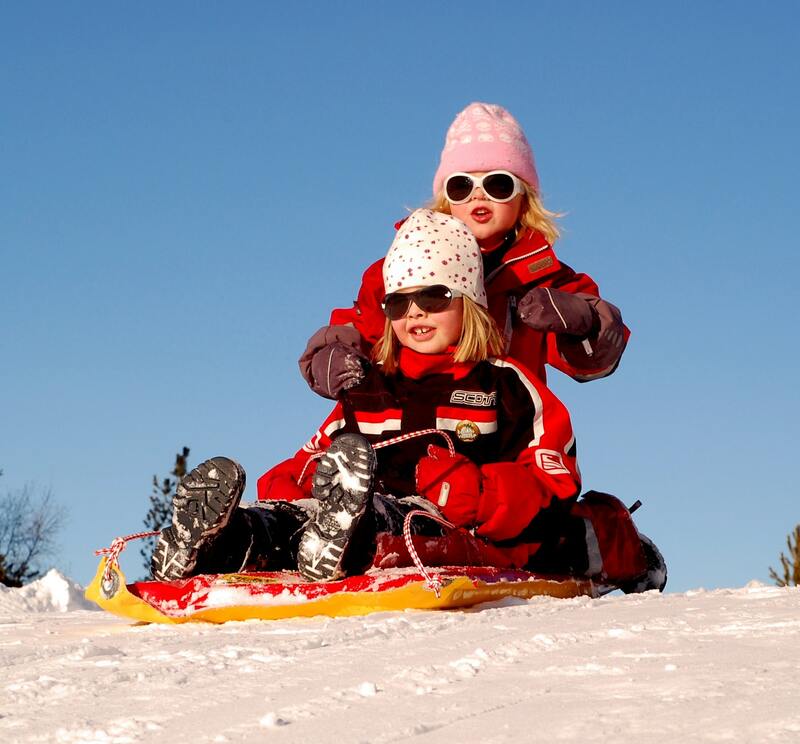 Children should wear helmets when snowboarding, skiing, sledding, or playing ice hockey. And to avoid injuries, teach children how to do the activity safely. 8. Prevent nosebleeds. If your child suffers from minor winter nosebleeds, use a cold-air humidifier in their room. Saline nose drops can help keep their nose moist. 9. Keep them hydrated. In drier winter air kids lose more water through their breath. Offer plenty of water, and try giving them warm drinks and soup for extra appeal. 10. Watch for danger signs. Signs of frostbite are pale, gray, or blistered skin on the fingers, ears, nose, and toes. If you think your child has frostbite bring the child indoors and put the affected area in warm (not hot) water. Signs of hypothermia are shivering, slurred speech, and unusual clumsiness. If you think your child has hypothermia call 9-1-1 immediately.